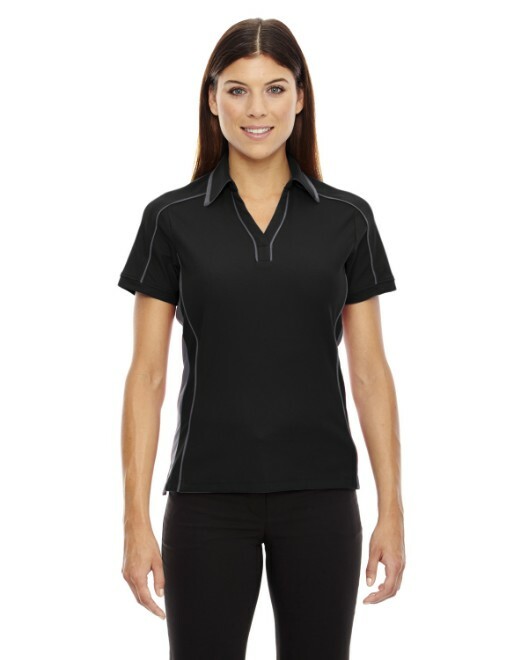 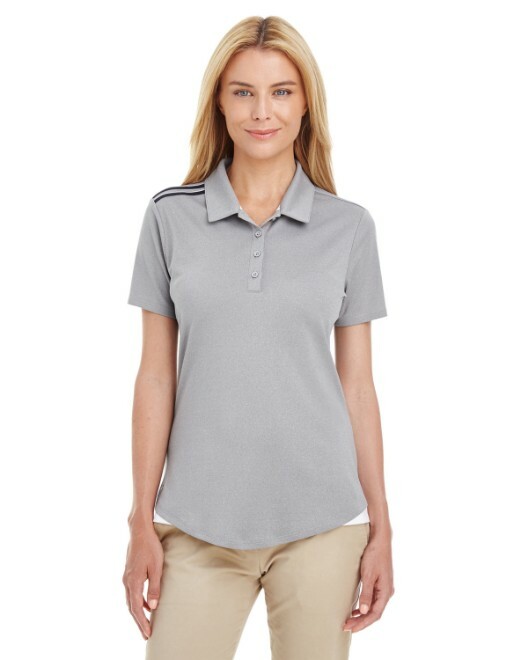 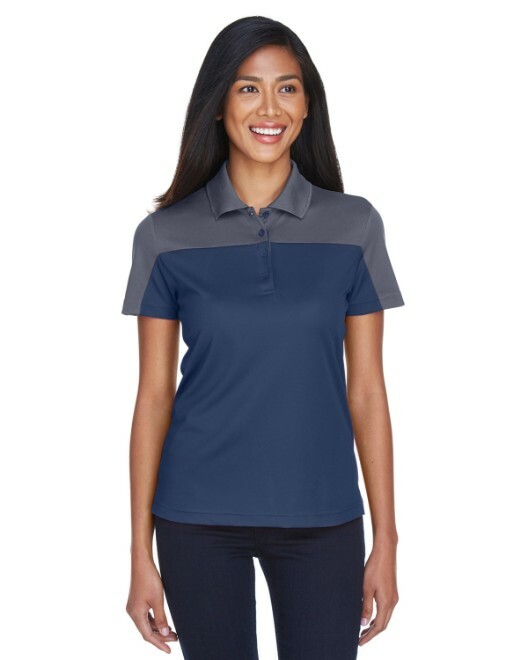 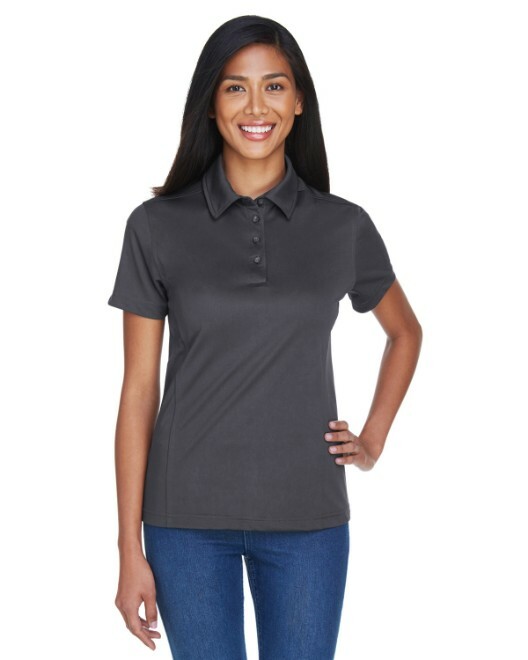 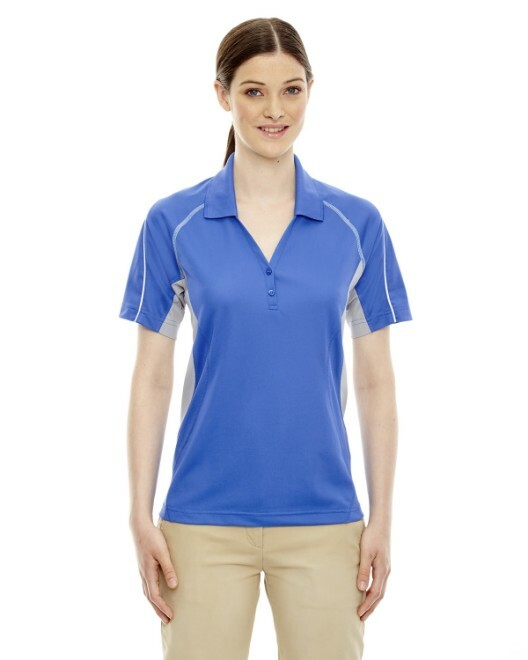 This Ladies' Eperformance Fuse Snag Protection Plus Colorblock Polo is absolutely gorgeous and one of the most stylish polos in our catalog. 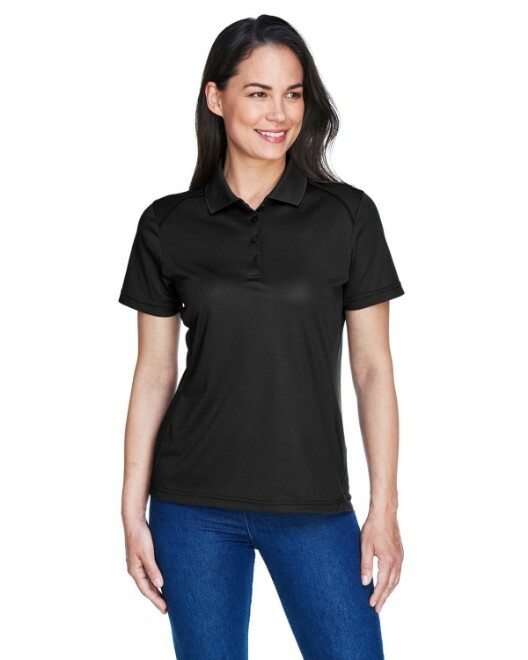 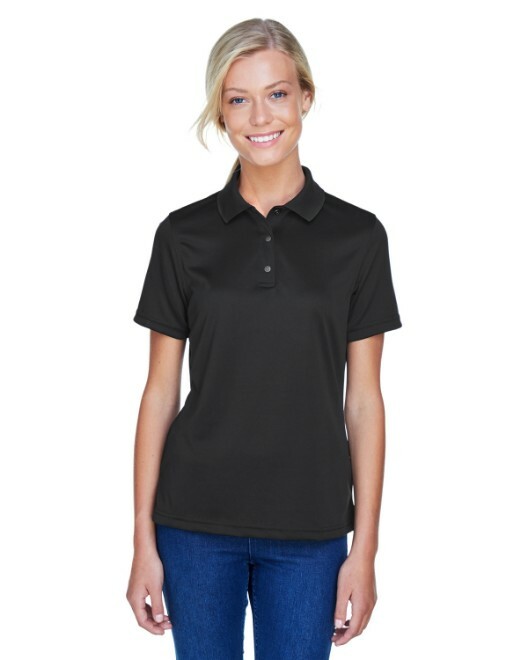 The 100% polyester snag protection tricot, a thin and smooth textured fabric consisting of fine yarns in vertical whales and crosswise ribs, makes this polo ideal for ladies who wish to have a snag and hole proof fabric. 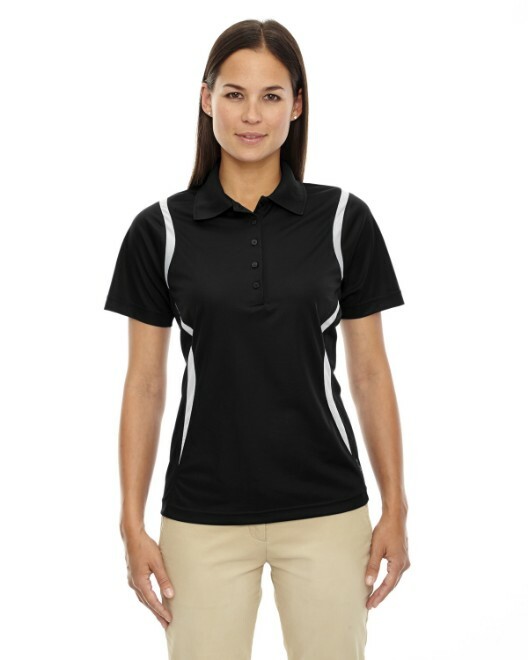 It is moisture wicking, antimicrobial and provides UV protection as well. 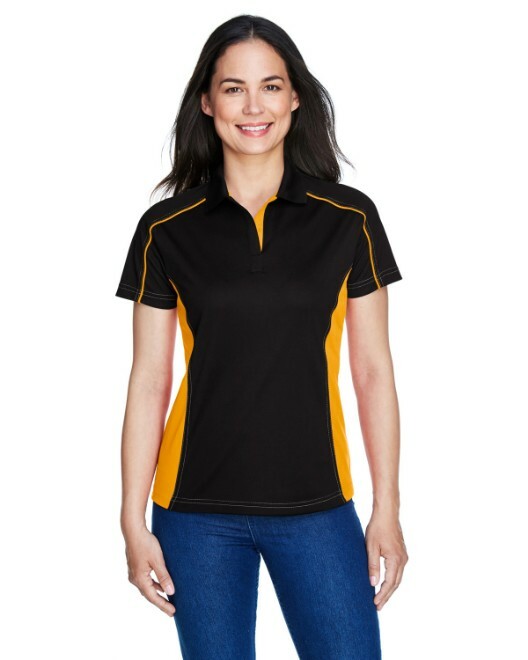 The contrast side panel inserts as well as the contrast inner placket, color neck tape, and stylish contrast piping at the front, black, and sleeves brings to mind the sleek beauty of racing cars with their racing stripes. 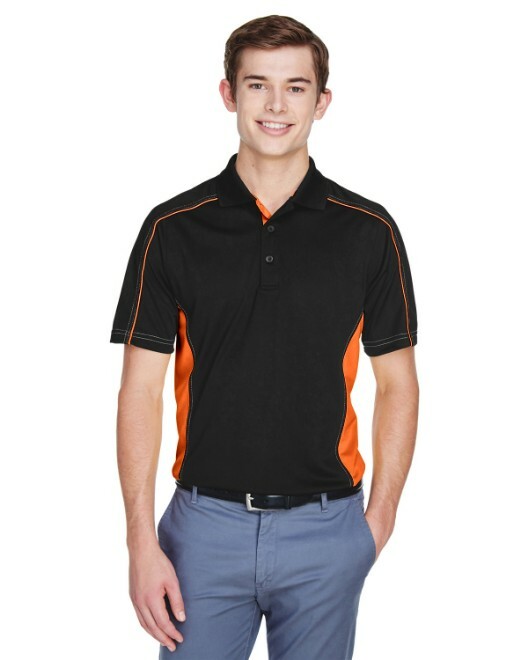 If you look closely, this polo has a lovely delicate contrast two-needle decorative stitching along the edge as well. 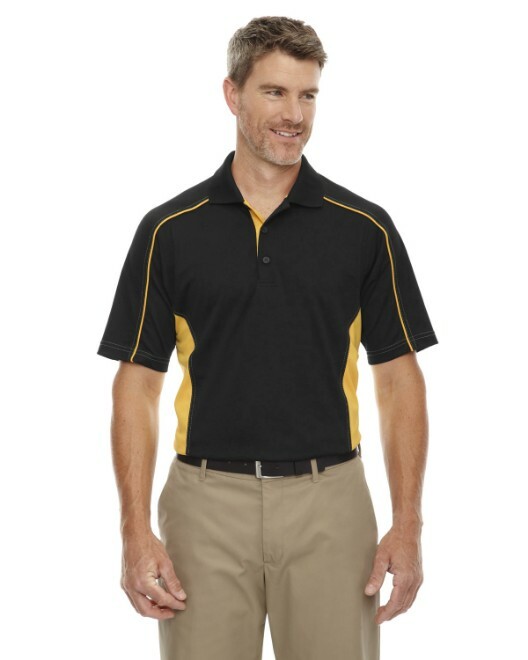 This particular shirt comes in black-gray, black-orange, black-yellow, navy-gray, blue-black, and red-black.